Since the Washington Post first reported on the girl's case Thursday, five days after she died from dehydration and cardiac arrest, Democrats have called for an investigation and the ACLU has criticized how migrants apprehended on the border are treated once arrested. While defending how the case was handled, saying because of the remoteness of the area it took 90-minutes to get the girl medical attention after the father first alerted agents she was sick, DHS officials said Friday the department's Office of Inspector General would investigate the girl's death. According to the DHS officials on a conference call with reporters, the girl was traveling from Guatemala with her father as part of a group of 163 people, including 50 children who were without parents or guardians. When they were apprehended in a remote desert area near the New Mexico border around 9 p.m. on Dec. 6, officials said, the girl was assessed to be in good health and the father signed a form saying she was not sick. But it would be only a matter of hours before the young girl's health took a serious turn, they said. 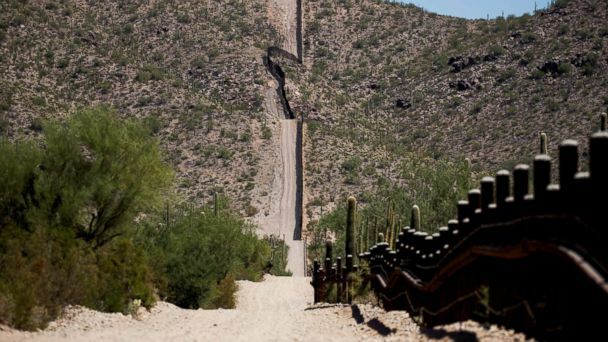 Four border patrol agents apprehended the group of over 160 migrants and there were no medical staff on the scene, according to officials. "Our agents are almost always outnumbered in the middle of the night, that's the work that we do," said a CBP official, who spoke on the condition of anonymity, in describing the nature of apprehending large groups like this one, which officials said wasn't unusual. According to officials, Border Patrol has 1,300 has emergency medical personnel on staff. Several thousand U.S. military troops have been deployed to the border since November, and are scheduled to stay through January. Around 5 a.m., when the girl got on a bus with her father to a nearby base, he alerted agents she was throwing up and sick. Agents called ahead to Lordsburg Border Patrol Station about 95 miles away, where the bus was headed, officials said, so paramedics could meet them when they arrived. By the time they arrived around 6:30 a.m., the young girl's father told agents she wasn't breathing, officials said. "There wasn't a whole lot more the agents could do in this situation" besides call ahead to alert medical staff, a CBP official said Friday when explaining the details of the night. Paramedics determined she had a 105.9-degree fever and she was airlifted to a children's hospital in El Paso, Texas, where she went into cardiac arrest. While at the hospital, the young girl suffered brain swelling and liver failure. She was breathing by a machine before she died, according to CBP and DHS officials. She died at the hospital less than 24 hours later, DHS said. In an interview Friday morning on Fox News, DHS Secretary Kirstjen Nielsen said the girl's death was "heart-wrenching" and an example of the dangerous trek to cross into the U.S. through its Southwest border. "We gave immediate care, we'll continue to look into the situation, but again, I cannot stress enough how dangerous this journey is when migrants choose to come here illegally," Nielsen said. What happened with the girl, whose name has not been released, adds to a growing concern about a number of deaths related to substandard healthcare provided in border facilities. Cynthia Pompa, an advocacy manager for the ACLU Border Rights Center, said the girl's death shed a light on "inhumane conditions" at CBP facilities. "Lack of accountability, and a culture of cruelty within CBP have exacerbated policies that lead to migrant deaths. In 2017, migrant deaths increased even as the number of border crossings dramatically decreased," Pompa said. "When the Trump administration pushes for the militarization of the border, including more border wall construction, they are driving people fleeing violence into the deadliest desert regions. The fact that it took a week for this to come to light shows the need for transparency for CBP. We call for a rigorous investigation into how this tragedy happened and serious reforms to prevent future deaths," she said. U.S. Customs and Border Protection, which didn't publicly alert the press of the girl's death through regular channels, is currently reviewing their "notification and disclosure policy," according to officials from the DHS and CBP, who spoke on the condition of anonymity because they were not authorized to speak publicly. On Thursday, ABC News reported on the death of 52-year-old Gerardo Cruz, a father of six who died after 25 days in CBP custody, where his cellmate said he was throwing up blood. Cruz died in March, 25 days after he was first detained, 18 days after he arrived at a detention center in San Diego, and 17 days after first seeking medical attention. And in August, a mother filed suit against a detention center because of the death of her toddler, who died from a respiratory infection more than two months after her and her mother were detained. According to a claim filed by Yazmin Juarez, whose young daughter was named Mariee, the little girl contracted the sickness in the immigration detention facility. Human Rights Watch, which reviewed the 52 publicly available death reports of the 81 detainees who have died in detention since 2010, determined in June that almost half of those deaths were linked to substandard care. Rep. Beto O'Rourke, a Democrat from Texas who recently garnered popularity when he ran to unseat Republican Sen. Ted Cruz, called for a "complete investigation and the results shared with Congress and the public" on Thursday, after reports came out about the girl's death. He was joined by other prominent Democrats, including former presidential candidate and Secretary of State Hillary Clinton. "There are no words to capture the horror of a seven-year-old girl dying of dehydration in U.S. custody. What's happening at our borders is a humanitarian crisis," Clinton tweeted Friday morning. Rep. Jerry Nadler of New York, who serves as ranking member on the House Judiciary Committee, said Nielsen would face questions on the matter in a hearing scheduled for next Thursday. The committee "will be demanding immediate answers to this tragedy," Nadler said.